Focus on your passion, start small, dream BIG and Participate in 'Haywards 5000 Hauslay Ki Udaan' to realize your DREAM. Haywards 5000 has launched the second season of 'Haywards 5000 Hauslay Ki Udaan' which provides mentoring to aspiring entrepreneurs across the country and a start-up funding of Rs. 15 Lac for the best business idea. The initiative, launched earlier by the Haywards 5000 Hausla Buland Academy, encourages the spirit of those who have an innate resolve to succeed in spite of challenges. The first of its kind program received over 40,000 calls in its last season and over 500 exciting entries went through auditions, leading to one winning idea. Haywards 5000 will conduct auditions across the nation which will serve as a platform for aspiring entrepreneurs from small and big towns to showcase their innovative business ideas and share their stories of unrelenting resolve. The first year of the “Haywards 5000 Hauslay Ki Udaan” initiative was held in 2015 and received a tremendous response from all over the country. 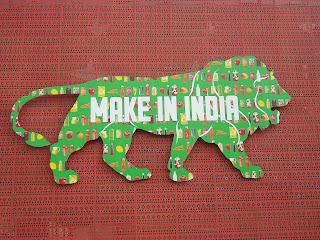 Last year’s initiative’s calling for entries began in April 2015 in association with India’s biggest media event – IPL 2015, where Haywards 5000 was one of the co-sponsors. The campaign received over 40,000 calls from across the country. Haywards 5000 team conducted auditions across 10 cities over a period of 3 months in order to find “city champions” from each city from a total of over 600 entries. Last year the judges ranged from entrepreneurs like Sumit Jain – Co-founder & CEO, Commonfloor.com, Vivek Singh, CO-founder & CFO of Tone Tag, Naidu Darapaneni, founder CEO of Meraevents.com, Santhosh Karnananda, CEO of MeraEnglish.com to industry stalwarts like Sunil Subramaniam - CEO of Sundaram Finance. Haywards 5000 launched the “Haywards 5000 Hausla Buland Academy” in 2012 to provide online skills development courses and training through workshops and has so far reached out to over 100,000 people from different walks of life. Thanks Ashween. Welcome to 'Spirit Of Mumbai '. 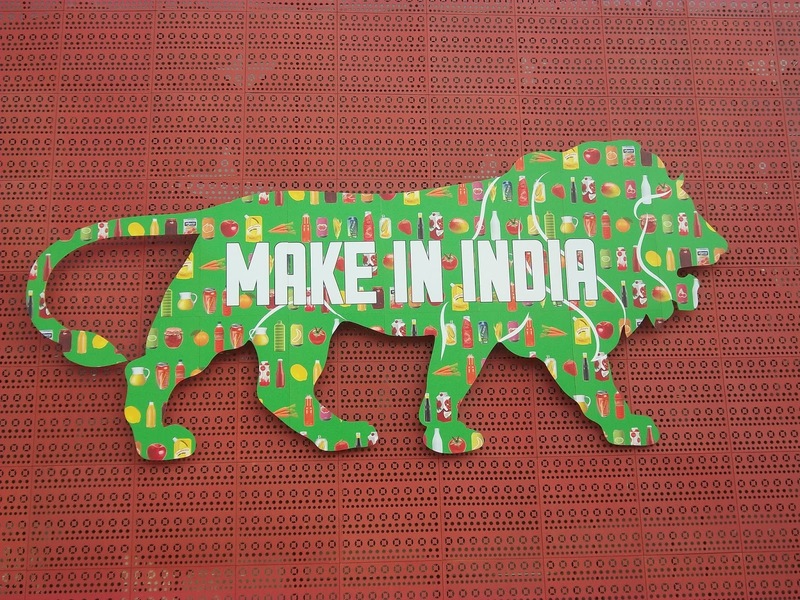 Good initiative from a private player in support of central government's, Make In India & Start-up projects. Hey M P , Our Indian youth have great entrepreneurial spirit Hauslay and but due lack of financial assistance and mentoring many dreams remain unfulfilled. 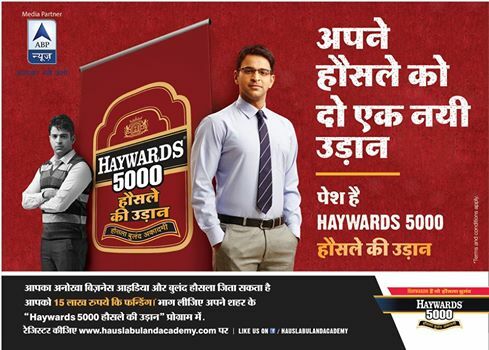 Haywards 5000 with its Hauslay ki Udaan is the BLESSING for Indians. Seems interesting. Glad to know that a private firm is joining hands with government for supporting entrepreneurship. Appreciate it. Thanks for sharing Sujata. Special Thanks to IndiBlogger for giving me the opportunity to spread the word about this unique venture from Haywards 5000. The brand Haywards is so rich ,I am glad that they are sharing their wealth for Nation building through startup mentoring.